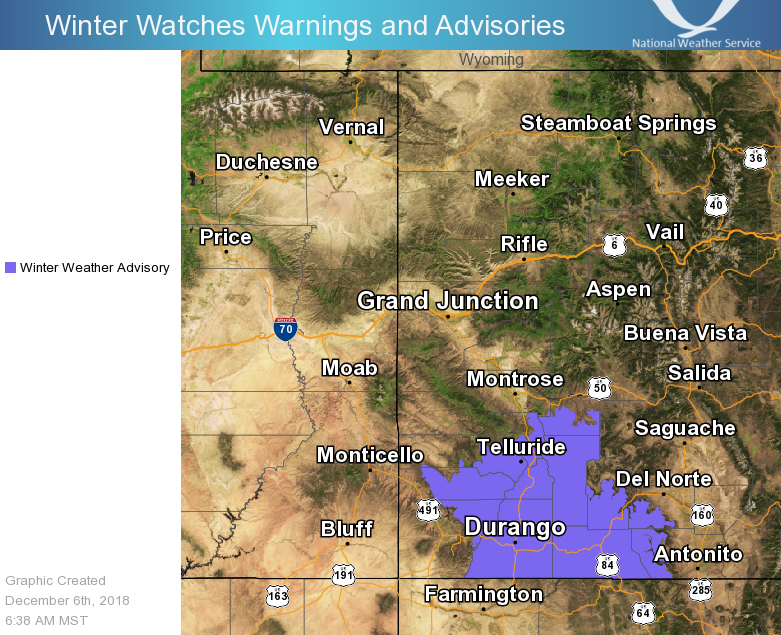 The National Weather Service has issued a Winter Weather Advisory for Colorado. It’s in effect from 12:00pm Today – 9:00am Friday morning. 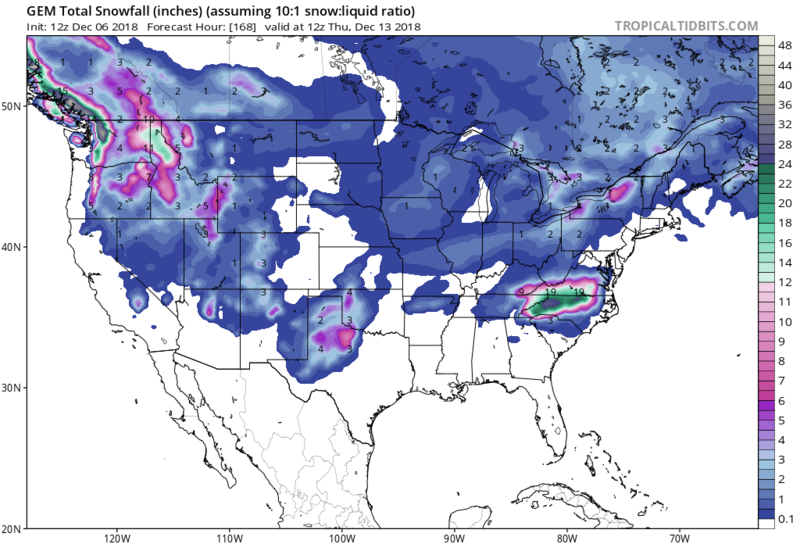 Snow is forecasted to impact the area throughout that time. Telluride Ski Resort and Purgatory Resort are set up well for this system. 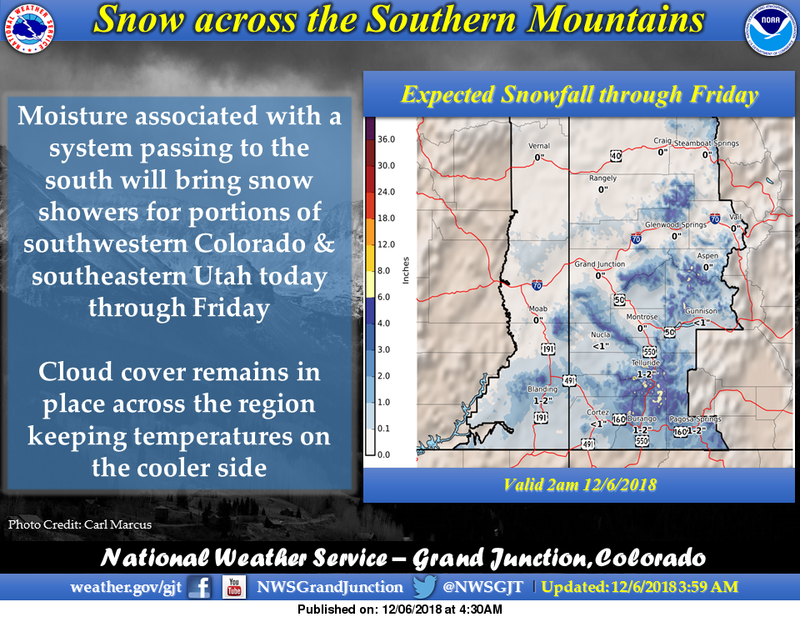 Snow levels are forecasted to hover around 5,000ft throughout the storm. The 6-10 day outlook calls for above average temperatures and above average precipitation in Colorado. 4 to 8 inches expected. 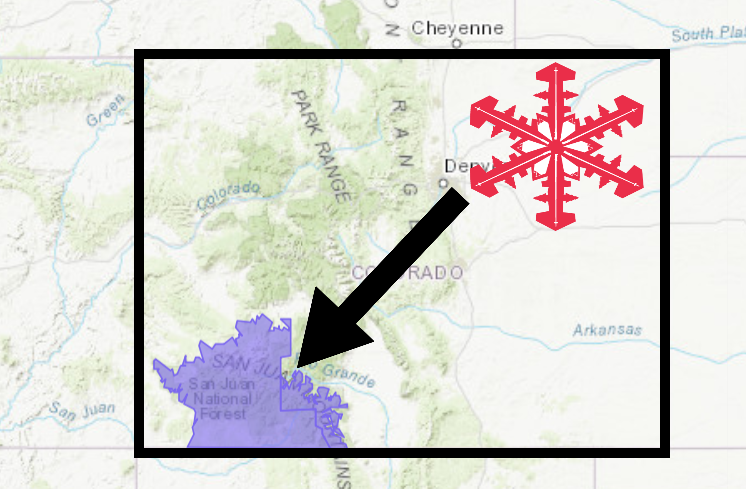 * WHEN...From noon today to 9 AM MST Friday.